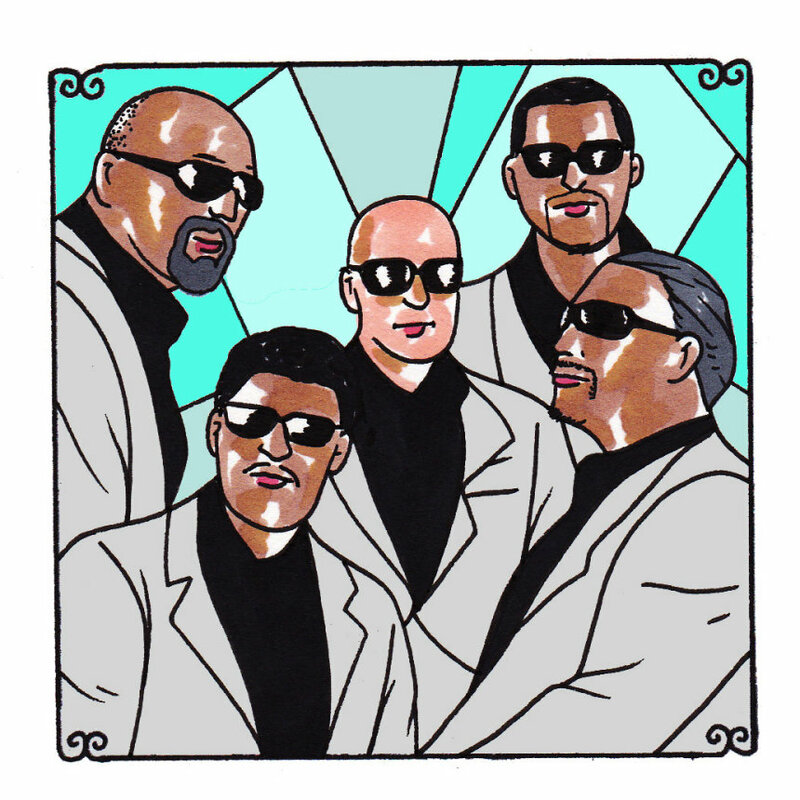 Bon Iver's Justin Vernon produced the excellent, new Blind Boys of Alabama record, "I'll Find A Way," and in the liner notes about the song, "My God Is Real," he writes, "The first thing I noticed about Ben Moore was his bright spirit. Despite having only recently lost his wife of several decades, he was jovial and upbeat. Then he sat down and sand this song. In every note, I could hear his loss. But I could also hear how his belief allowed him to find a place of peace. When I heard Ben sing this song, I thought, 'I could believe in this God.'" The Blind Boys of Alabama are led through this great darkness by the same faith that they give deep and resonant voice to in their selection of songs, all of which are powerful only when the people singing them are bringing their own power and soul into their veins. Some of these men live through the blindness that they've been afflicted by, with a passion to actually see and feel a God that they've already made some kind of connection with, some kind of reconciliation with. Some have had their sight stolen from them, and the way that they sing - together and with such a strong and booming vitality - you realize that they're not at all without. They allow you to put many things into perspective and you understand that there are lights on inside them that are keeping them from real blindness - the kind of blindness that could really make you feel like a poor man. Even for the most skeptical of us, reluctant to find anything other than fantasy in religion, there is something in these men that makes a believer out of you. They have fires within them that allow for their own joyous living, for an absence of pity and for a desire to share what they've found. We find even more joyousness there.